Debra McCormack, managing director for the Center for Board Effectiveness at Deloitte, offers advice to CIOs who would like to join a corporate board. CIOs who have led successful executive management careers often see corporate board service as the next stage of their career. For years, this was a tall order, as boards prized CEO experience over technology. But today, with cyber risk, digitization, and innovation threatening to disrupt long-established companies, the tides seem to be turning, says Debra McCormack, managing director for Deloitte’s Center for Board Effectiveness. What specifically does it take for CIOs to become corporate board directors? McCormack explained during a conversation I had with her recently. 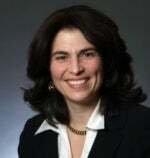 Martha Heller: What is the current market for CIOs on corporate boards? Debra McCormack: While boards still seek active or retired CEOs as directors, we’ve seen that they are expanding their preferences. Over the past few years, the percentage of CIOs on boards continues to increase. Of the 428 new directors appointed to Fortune 500 boards in 2018, 81 have a technology background, up from 41 directors with a technology background a decade ago (according to the 2018 Spencer Stuart Board Index). Boards of companies in the IT sector provide the most opportunity for technology executives. How do boards leverage a CIO’s expertise? Every company is dealing with innovation and disruption. Consequently, boards need people who can advise and challenge the management team about their technology and innovation strategy, which typically involves data, privacy, cyber risk, and digitization. Technology executives on boards may often take a leadership role in engaging in robust discussions with the CTO, CIO, or CISO of the company. One CIO I know joined the board of a bank, where the other directors asked her to lead knowledgeable discussions with the technology leaders on the management team. Other boards do not want to lean on one individual board member; they want all of the board members to ask technology-related questions. Others prefer to convene a board-level technology committee, often led by the CIO board member, to focus on technology-related risks. In addition to technology expertise, what attributes are boards looking for in new directors? The company’s annual proxy statement must include an explanation of the skills and attributes each board member brings to the board – and it’s advisable to have more than just one skill or attribute. Given the scope of their responsibilities, board members need more than a single strength (like technology) that they bring to the board. That’s why CIOs need to have a skillset that’s beyond technology leadership. Many CIOs have experience managing disruption and getting their colleagues to think about the future. The kind of strategic thinking required to show executive management what’s around the corner can be very valuable to a board. Boards are challenged with staying current on all of the new technologies in the marketplace. That puts CIOs in a very good spot because they are in the marketplace every day. Increasingly, companies include a board skills matrix in their proxy statements to illustrate the desirable skills for their directors. My advice is to take a look at those matrices because the skills they seek are those are the ones you want to have in your board bio. 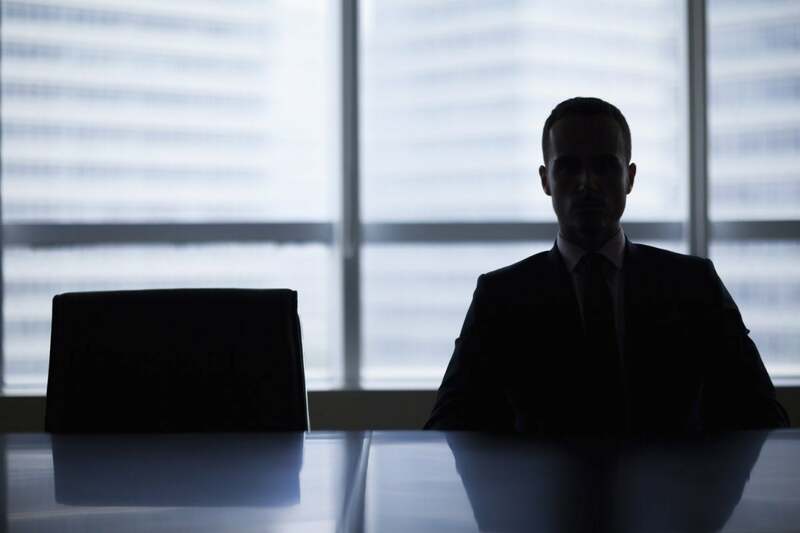 Whether the board is interested in transformational, cyber risk, or digitization experience, they are putting those words in their proxy statements, and they’re using analytics to identify potential directors who have those skillsets. But if you put those terms in your board bio, make sure you’ve got good examples around each of them, so you can tell your story about your skills. How is a board resume different from an executive management resume? The board resume is very different than a traditional CIO resume because the board resume focuses more on your overall value proposition as an individual and less on the specific initiatives you’ve led. But before you even get to a board resume, you need a board bio, a one-page document that conveys your business and technology acumen. That one-pager needs to catch the interest of the CEO who's reading through a large pile of similar bios. Really, the job of the board bio is just to get you in the door. It describes where you managed risk and how you helped your company grow. In the board bio, you don't include a lot of information about the companies you worked for. The nominating and governance committee can look up that information, but they can’t look up information about who you are as a person. The bio needs to illustrate who you are and the skills you will bring to the board in a clear and concise way. The board will want your CV at a later date, which is a linear representation of your experiences. What strategies should CIOs follow to learn about board opportunities? What you cannot do is wait for a recruiter to call! Fewer than 20 percent of board placements originate with a search firm. Most are communicated through the board’s own networks. So, CIOs who are interested in board service should expand their networks and let those networks know about their interest in serving on a board. For a sitting CIO, make sure you get the approval of your CEO and the support of your board. This way, when your CEO and your board receive calls for board member candidate referrals, they will know to mention your name. The second is to make your board interest known to your own networks. Everyone in your networks is meeting new people all the time; the more they know about your interest, the more your name will be mentioned. The third is to tell people in your non-professional networks that you are interested in future board service. Someone I know was at a charity lunch, and she told the person sitting next to her that she was interested in board service. The person took her card and gave it to her father, who was on the board of a large public company. Well, she wound up on the company’s board, which proved to me that a board opportunity can come from anywhere. How relevant is non-profit board experience? Not-for-profit boards or the board of your alma mater are great experiences that will build your board muscles and networks, and allow you to expand your network. But if you join those boards, you must be passionate about the organization, show up to all of the meetings, and do a great job. There are so many CEOs and other executives on these boards that if they see you as an effective board member, they will be more likely to recommend you for a board. The last thing you want to do is get on a non-profit board so that you have the experience on your resume, but then not show up for committee or board meetings and be known as someone who does not participate. Another benefit of a non-profit or university board, is that you can become a member of the National Association for Corporate Directors (NACD), which gives you training on board service and access to its members and services. What advice do you have for IT leaders who are early in their careers, but would like to have a board seat someday? Tomorrow’s prospective board members need to understand that everything they do today will be evaluated later when they want to join a board. The people you are doing projects with, or sitting next to at work, could all be asked to give you a reference. Make sure you establish credibility with your colleagues now because the networks you create today will be key to your board career in the future. Debra McCormack, managing director of the Center for Board Effectiveness with Deloitte, creates innovative learning solutions and resources that support executives, boards of directors, and others active in governance roles by providing them with resources on current boardroom issues and governance trends. She advises board members through board-focused symposiums, board insights, onboarding programs and has a specific focus on developing current and future board members. McCormack is a licensed CPA, with a bachelor’s in accounting from Western Washington University, and has been in public accounting for over 25 years.